This is the first in a series of 7-question interviews with REFM customers who are rising stars in their fields. I took an intro to real estate class at NYU’s Continuing Education School and then decided to take the required prep classes for the Salesperson Licensing Exam. After I had a basic understanding of the industry from classes and self-studying, I decided to apply to NYU to obtain my Master’s in Real Estate Development. I attended school in the evenings while working for a big four accounting firm performing real estate valuations during the day. 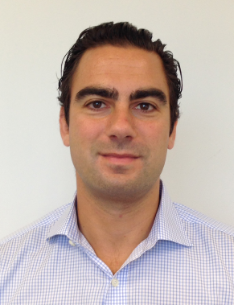 Upon graduating, I joined a mid-sized real estate development firm as a financial analyst. 2. What do you love the most about working in commercial real estate? The exposure to so many different types of people within the industry. Having the opportunity to interact and work with say a particular sub-contractor to a capital provider allows me to see different perspectives of a project and use my communication skills to effectively work together. Currently completing construction of an ultra-luxury apartment community called Empire at Bellagio which consists of 23-units in Bel-Air, CA. In addition, completing the design phase of a 23-unit condominium in Beverly Hills, CA called Empire at Burton Way, anticipated to break ground by the Fall. 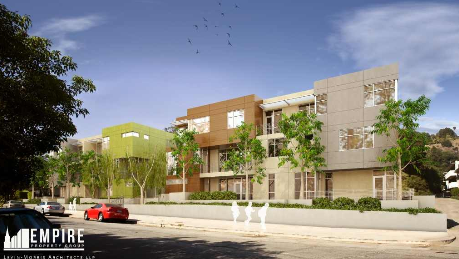 Lastly, in contract to purchase a site in West Hollywood, CA to build 30+ units. 4. What’s the most challenging thing about your job? Since we are a small boutique development company, I must stay focused and disciplined; the challenge is misappropriating my time between all my tasks. The cliché that time is money couldn’t be more applicable. 5. What is your dream project to work on? Why? I would be very interested to one day build a large scale TOD – Transit Oriented Development in Los Angeles. I believe that since LA suffers from such a large urban sprawl, TODs will become very desirable places to live, work and play. 6. Any words of wisdom for young folks looking to get started in the business? The key is to innately have the passion for real estate and not be intimidated by others that might have a larger knowledge base or network than you. Stay true and ethical especially since your reputation precedes you. 7. What’s your favorite building? Why? The Flatiron Building in New York. What makes it my favorite building is the unique building shape and how different it looks from various streetscape angles. It was once the tallest building in New York and the steel construction was revolutionary at the time. It makes me think about what the next building type will be one day.